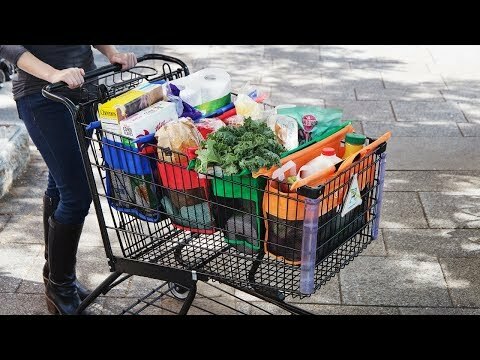 These four reusable shopping cart bags fit perfectly on your cart to create sections for different kinds of groceries, making shopping and unpacking more efficient. 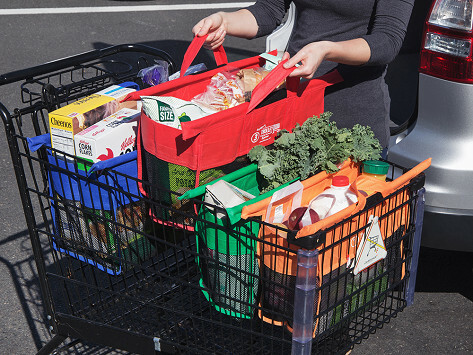 They’re color-coded to keep your groceries organized and they roll up when you’re done. Plus, each one is strong enough to hold 30 pounds. Dimensions: 25.59" x 11.02" x 21.65"
My grocery shopping is easier and so much more organized. The clerks comment on them all the time. Best gift for a very special person! What a wonderful gift! The bags were really loved and are in use everytime they go shopping! No more plastic bags to deal with! A great gift for someone who is very organized when grocery shopping. I love these bags. I use them every time I shop, and people always ask me about them. What a great purchase! They’re a planet-friendly way of staying organized.